These days every one talk about DevOps and there is a lot of craziness going on around this piece of technology. These days, everyone talks about DevOps and there is a lot of craziness going on around this piece of technology. Well, DevOps is everything but a technology. Folks think of DevOps as a part of the technical stack, but it is nothing but a set of practices, philosophy, and tools that increase the ability of any organization to deliver the products/applications or services in a high velocity and very efficiently. DevOps is a by-product of people, process, and products (tools which helps us) to enable continuous delivery to the end customer. 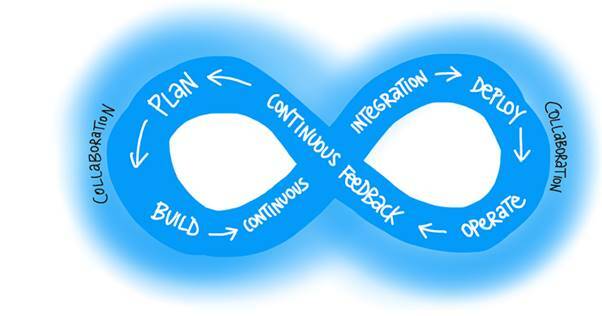 So, in short, DevOps is a blend of practices, processes, and tools that help us to enable efficiency, pace (high), and a valuable delivery to the end customers. This speed enables organizations to better serve their customers and compete more effectively in the market. If you want to understand DevOps, you should be aware of the origin of the DevOps - Where did it come into the picture? Is it something really new or was already there? Well, DevOps is based on the concept and values of Agile Software Development. It is basically born out of the need to keep up the velocity of software increased and throughput that agile methods have achieved. So, the advancement of Agile Philosophy or Culture, as well as Methods over the last few years, basically exposed the requirement for a more holistic approach to develop/deliver end-to-end software lifecycle. DevOps is nothing but an IT mindset, incorporated with AGILE values which basically encourage communication, collaboration, integration and automation among the developer communities and IT operations in order to improve the velocity and the quality of delivering software. There are still so many things left to explain, that you will be seeing in a series of articles here. That will explain everything you need to know about #devops. Last but not the least – What’s in it for you? Please post your comments/suggestions so that this series can be more efficient and improved.